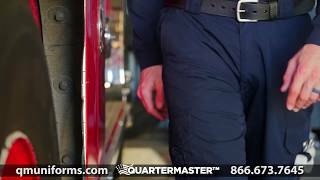 Built specifically for EMS professionals, the 5.11 Tactical Taclite EMS Pants are a lightweight alternative to traditional twill EMS pants. Constructed from Taclite ripstop blend, and treated with Teflon® for soil, stain and moisture control, these pants deliver protection against scuffs and abrasions while remaining lightweight, breathable and flexible. EMS-engineered cargo pockets feature internal dividers to sort your gear, while secondary cargo pockets at the calf offer convenient storage. I have a couple of pairs of these pants. They are well built and have a lot of pocket space and ways to attach gear. The one thing I don't super like is the cut of the back pockets. It's not my favorite style, but to each his/her own.